How to Build Fences with Max-Ten High Tensile Wire. Downloadable PDF. 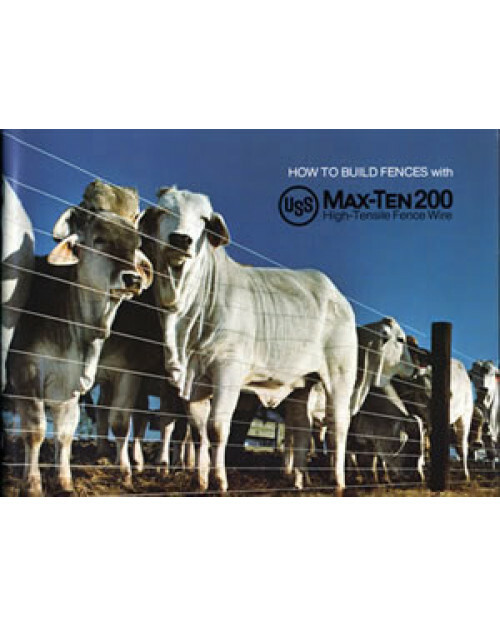 The popular book How to Build Fences with Max-Ten 200 High Tensile Wire is now available as a PDF download. High-tensile fence has been used throughout Australia and New Zealand for decades to contain sheep and cattle. Contained in this book is detailed information necessary for selection of reliable materials for your fence project along with step-by-step procedures for proper erection of both non-electric and electrified high-tensile wire. Also outlined are important safety precautions to ensure a successful fencing project.